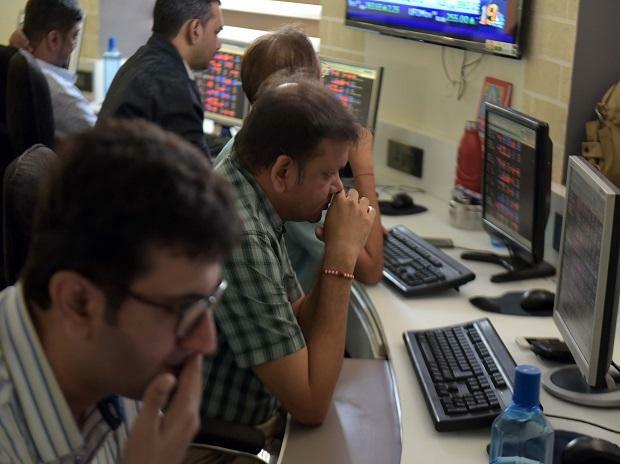 Benchmark indices Sensex and Nifty ended in the negative territory on Wednesday as investors booked profits in recent outperformers such as Reliance Industries (RIL) and financial counters. The S&P BSE Sensex lost 101 points or 0.26 per cent to end at 38,133, with NTPC being the top drag and YES Bank the biggest gainer. RIL, HDFC Bank, HDFC, TCS, and Infosys contributed the most to the index's loss. In the broader market, the S&P BSE MidCap index gained 88 points or 0.59 per cent to close at 15,168, while the S&P BSE SmallCap index ended at 14,778, up 95 points or 0.64 per cent. The Nifty50 index of the National Stock Exchange (NSE) closed below 11,450 level at 11,445, down 38 points or 0.33 per cent. Volatility index India VIX rose nearly 4 per cent to 17.07. On the sectoral front, pharma stocks bled the most followed by auto and realty stocks. The Nifty Pharma index fell 1.04 per cent to 9,149, with all the 12 components ending in the red. On the other hand, Nifty PSU Bank index gained 1.59 per cent to settle at 3,229. Shares of ICICI Prudential Life Insurance Company rallied 9 per cent to Rs 349 on the BSE as the promoter’s share sale programme received good response from non-retail investors. Shares of Vodafone Idea hit a new low of Rs 28.30, down 4 per cent, in the intra-day trade, thus falling 14 per cent in four days on the BSE, ahead of rights issue. The stock eventually closed at Rs 28.45, down 3.89 per cent. Asian shares held steady on Wednesday as investors tried to come to terms with a sharp shift in US bond markets and the implications for the world’s top economy. MSCI’s broadest index of Asia-Pacific shares outside Japan ticked up 0.1 per cent, while Japan’s Nikkei average lost 0.2 per cent.